Home / Global Impact / Meet Lia Pizarro. 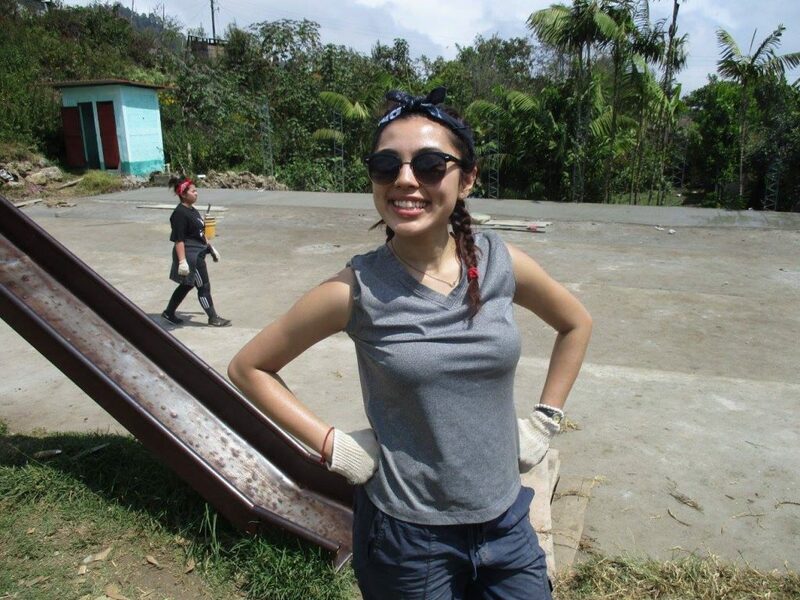 Over the next year, we’ll be joined by Lia Pizarro, a 4th Year Journalism and Communications student whose real-world experiential learning opportunities shifted her career plans towards humanitarian causes – a focus she hadn’t considered before coming to Carleton. As she embarks on the final year of her undergraduate career, she joins us to share a window into the life of a Carleton student embarking on a journey to use her education as a force for good. When I was given the opportunity to share my stories and experiences with you all this year, I was hesitant at first. I didn’t see how the life of an average fourth-year Journalism and Communications student would intrigue or even interest anyone. Like many students at Carleton University, I’ve done my part to be involved on and off campus by joining clubs, attending events, and exploring what Ottawa has to offer. However, one thing I can say is that going to Carleton has paved the way for new experiences that have inspired me to take on opportunities beyond what I could ever imagine. I’ve had the privilege of being immersed in a program where I am constantly in search of stories to tell and people to talk to. I’ve interviewed ex-child soldiers, humanitarian workers, disability experts and world travelers. I’ve had the pleasure of sharing the stories and experiences of those who would have never thought their voices mattered or even belonged out in the news world. To top it all off, Carleton has never failed to offer and provide extra-curricular opportunities that continue to inspire and drive my passion for telling stories and exploring the world. For the past two years, I have been heavily involved with the Alternative Spring Break Program as a participant, ambassador and team leader. Through this immersive year-long program, I’ve been given the opportunity to work with international partners such as Students Offering Support, on service-learning projects in countries like Honduras and Guatemala. On a local scale, I’ve also participated in various student-led volunteer programs such as Campus to Community and Carleton Serves, where I’ve volunteered alongside many other Carleton students in community service organizations across Ottawa. Through donor support from the Carleton community, these enriching programs are bringing students closer together and opening doors for our involvement both in and out of the classroom. Your impact has provided us with the opportunities to supplement in-class studies with real world experiences. Through Collaborate, the most ambitious fundraising campaign in Carleton’s history, your generous contributions have a lasting impact on students who aren’t financially able to participate in these programs. Your investment in our future is ‘Here for Good’ and will truly go a long way in helping us to develop the skills, careers, and philanthropic values that will help us make a difference in the world. After three wonderful years at Carleton University, I now have the honour of sharing my own stories and experiences with you all this year as I make my way through the final leg of my undergraduate journey. My next Carleton adventure will take me to the beautiful communities of Fogo Island and St. John’s in Newfoundland, where I will celebrate Canada’s 150th anniversary with Carleton alumni and friends. I invite you all to follow my story through the Carleton University Alumni Association Facebook page, where you can get an insider look at my adventures on the east coast.